Planning my son's nursery is something that started way before he was born. 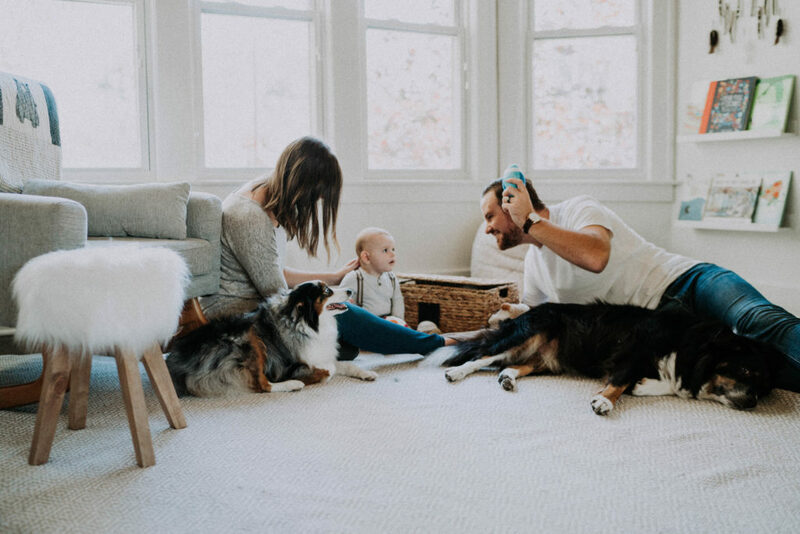 I always had visions of what a nursery would look like in our home and when we found out we were pregnant after what felt like forever, I immediately started planning my son's nursery. I wanted his space to be calm, clean, and inviting. I was drawn to bright rooms with minimal furniture, which would eventually give my son plenty of space to play as he grows. I enjoy the Scandinavian feel of neutral wood and warm whites. To me, home is a feeling, and I really wanted my son, even though he was very little, to feel comfortable and cozy in his room. Unfortunately, a few years before having my son, my father passed away unexpectedly. He is a missing piece of our daily lives and I always daydream about what it would be like to see him holding and playing with his grandson. A close family friend sketched a drawing of my Dad from a photograph that was taken at my wedding. As soon as she gifted it to me, I knew immediately that I would want it to be displayed in my future child's nursery one day. Seeing that drawing every day in my son's room helps feel like he is always close. That drawing was the foundation of my son's room. I used neutral colors and kept things simple. I love the way that white walls make a room feel fresh and clean, so we used Benjamin Moore White Dove on the walls and trim. I purchased an Ikea Hemnes Dresser and painted it Cliveden Forest by Valspar. My sister made a custom quilt that hangs on the back of his rocker. We kept his crib simple with the Sniglar Crib from Ikea. I love that it is extremely affordable but has clean lines and natural wood. We installed the Bear Vinyls from ShopBDarling which gives his room a little more added dimension and helps the space feel youthful. Wife. Mother to one real baby and two fur babies. Homebody. Making a 1920's house a home.